Dia. tolerance: -0.001"/-0.0025" Key width tolerance: +0.003"/-0.000" Straightness tolerance: 0.012" per ft.
All material is furnished as cold-drawn, ground, and polished. Manufactured to ANSI B17.1-1967, R1973 standards. 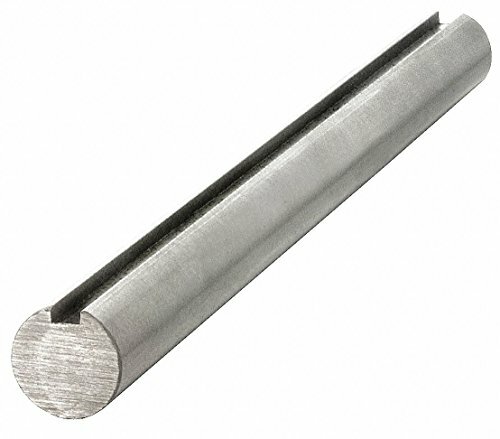 Material: Carbon Steel Grade 1045"
If you have any questions about this product by KEYSHAFT, contact us by completing and submitting the form below. If you are looking for a specif part number, please include it with your message.